It's heating up in New York. 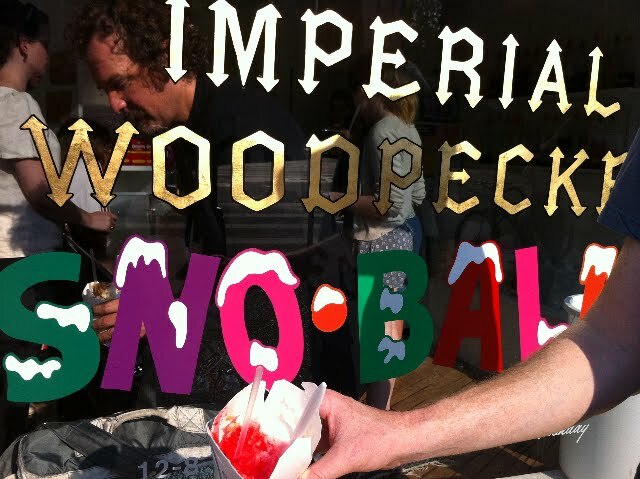 There were a lot of people lined up for Imperial Woodpecker Sno-Balls yesterday. 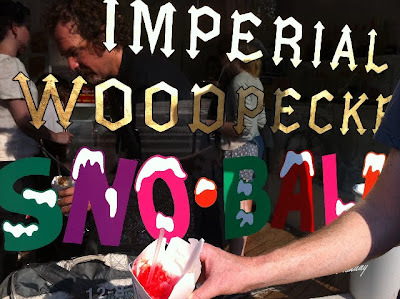 I joined the crowd and tried coconut cream and tiger blood flavors. Having worked one summer shaving ice in Hawaii, I know how hard it is to keep the consistency of the ice nice and fluffy. The workers here did a great job. Ohhh I love a snoball more than most things. I really do. Will you take me there right this second for breakfast??? ?